You'll need an SVG viewer plugin for your browser to display the graph. The data comes from Audioscrobbler, which produces charts of artist popularity for users who have linked themselves to a particular country. The graph shows popularity in different countries on either side of the axis. 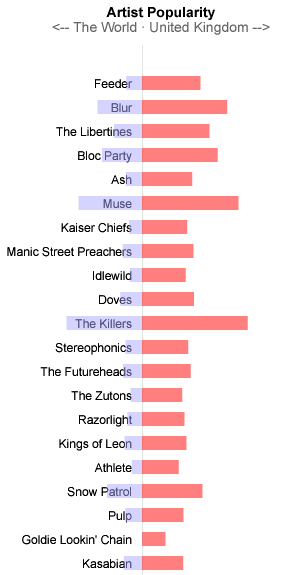 Artists are sorted in descending order of 'difference in popularity'.